Yoo Jong-ho, 24, listens to podcasts every morning in the subway. The college student, who spends five hours each day commuting to school, said listening to book podcasts was the best way to pass the time productively. Since podcasts began in 2005, book podcasts have emerged as a powerful social platform for avid readers to gather and share their thoughts on books. The form or duration may vary, but the content of most book podcasts focuses on book-related reviews, news, commentary and discussions. 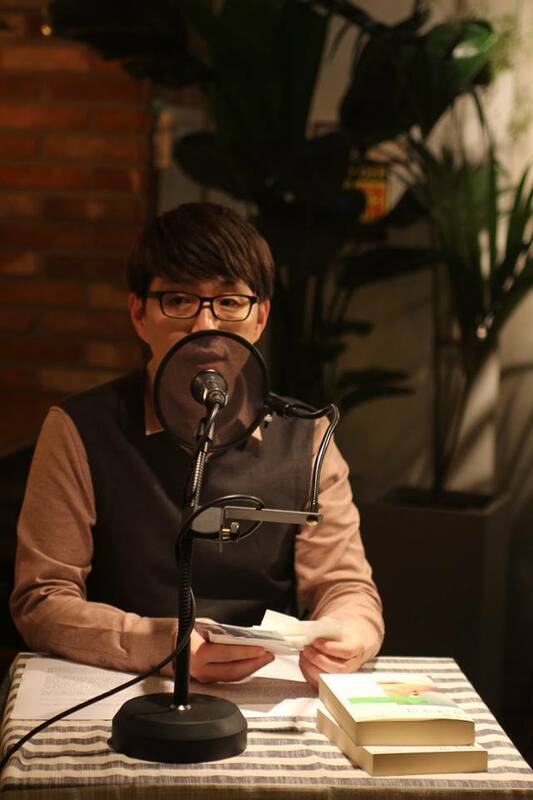 “Red Book Cafe,” one of the most popular book podcasts among Korean listeners, for example, introduces a new book every two weeks. Led by a film critic Lee Dong-jin, the show’s panel, author Kim Jung-huk and journalist Lee Da-hye, briefly introduce the highlights of the book and move on to discussions. The two-hour show might seem endless for some, but fans of the podcast say it’s never long enough. Currently, nearly 600 book podcasts are broadcasting via Podbbang, the largest podcast platform in Korea. While the “Red Book Cafe” has drawn 114,709 subscribers, the top-five books podcasts on Podbbang all have over 50,000 subscribers on average. Publishing companies and bookstore chains are also jumping into the business. Publishing company Munhakdongne and Kyobo bookstore and launched their podcasts in 2013 and 2014 respectively. So what makes the books podcasts so popular? Listeners pointed out the reasons why they prefer “listening” books. “As a books podcast covers diverse genres of books every week, it gives me the chance to discover authors whom I didn’t know and topics that I was not interested in before,” Yoo said. The mathematics education major, who tended to read only nonfiction in the past, started to consume mostly fiction since he started to subscribe books podcasts two years ago. Lee Sol, a 32-year-old who listens to shows on Sunday afternoons, emphasized the power of the auditory senses. “I believe the act of listening can be more powerful than reading, as voices come directly into my ears,” Lee said. Most listeners, however, said they tune into the shows to enlarge their understanding of various fields. Often hosted by influential writers or critics, the book podcasts feature a lineup of experts, celebrities and ordinary people on the show to share their points of view. “How would I know what ‘eggs’ means in the context, if I read it alone? I could grasp the meaning of the metaphor later, via the discussions and commentaries on book podcasts,” Kang said. Besides listeners, the hosts also describe podcasts as the most suitable format for book discussions. 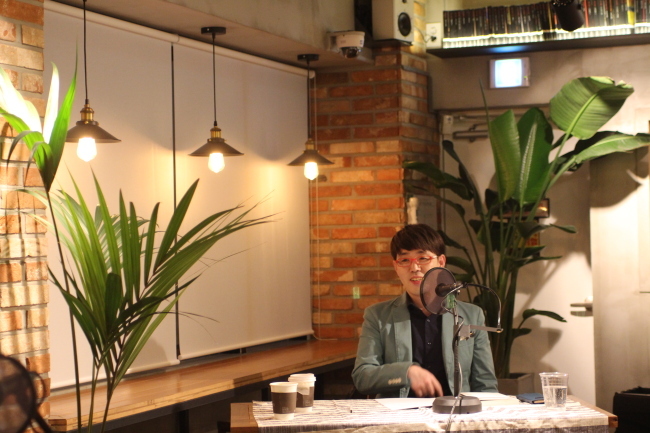 Lee, the host of “Red Book Cafe” who runs a blog and hosts TV and radio shows, pointed out the “unlimited structure of the format” as the biggest strength of podcast. Lee said the convenience of the format is another appealing point. On Nov. 6, Yoo skipped afternoon classes and attended an open recording session of the “Red Book Cafe.” It was his 19th visit. That day, Lee and the panel talked about the book “The Brain: The Story of You.” Yoo said the discussion was inspiring and helpful, as always. After the session ended, Yoo rushed to a bookstore to get the book, as always.